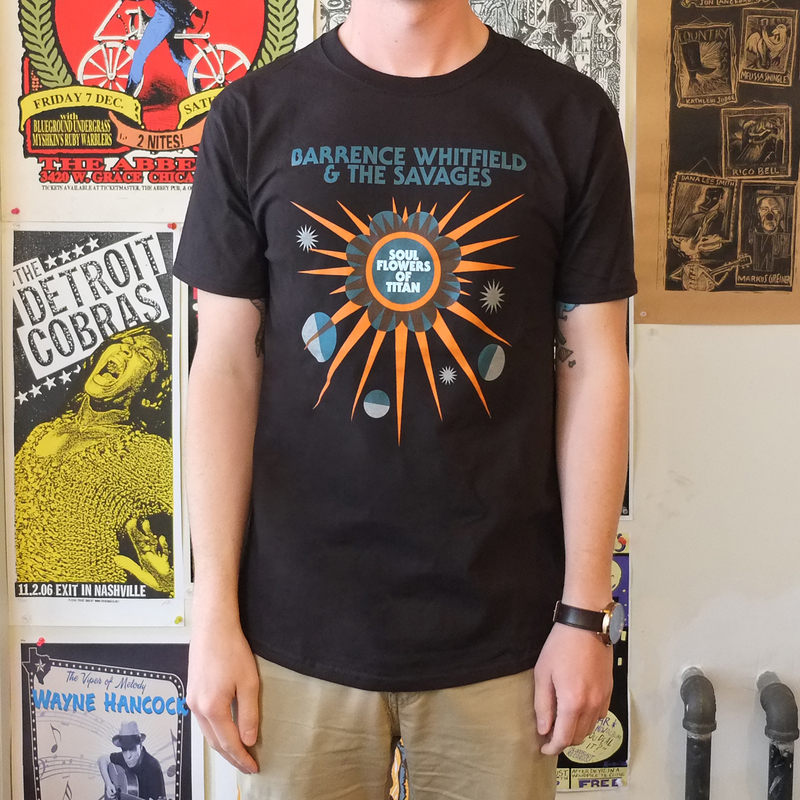 From the punk club to the space station, blast off into orbit with the new Barrence Whitfield and the Savages tee commemorating the band's far out new album Soul Flowers of Titan. Design by Katherine Coffey, inspired by the album artwork. Blue and orange screen print on black 100% cotton t-shirt.